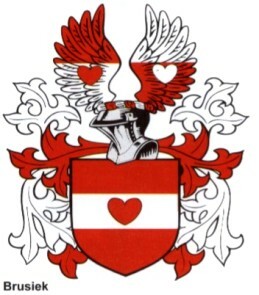 A Silesian noble family with Scottish roots. They come from the village of Baildon near Bradford in Yorkshire. The family’s primogenitor was the Sheriff Hugo, mentioned in documents dated 1195. The first member of the family living in Silesia was John Baildon, who arrived here in 1793, coerced to do so by the Count von Reden, the Director of the Supreme High Mining Office. John Baildon is considered to be the forerunner of modern metalworks in Silesia. With his participation, there came into being, i.a., the metalworks in Gliwice (equipped with the first in Europe blast furnace for coke), the ironworks in Królewska Huta, the metalworks “Hohenlohe” in Bytków and the rolling mill in Blachownia. His biggest achievement was building the metalworks “Baildon” on the borders of Katowice and Dąb. He was the architect of the first iron bridge in Europe (built in Łazany near Strzegom, over the river Strzegomka). After his parents-in-law, the Galli family from Gliwice, he inherited the Bełk property, where he lived. He died in 1846 and was buried in the metalworks cemetery in Gliwice. John’s younger brother William (d. 1833) settled down in Moravia. He and his descendants lived and worked in the lands of the Austro-Hungarian Monarchy. John’s heir was his son Arthur. In 1852 he bought from Emmanuel von Zawadzki the property of Łubie. The palace built there later became the family’s main residence. In 1880, the King and Emperor William I Hohenzollern bestowed Prussian nobility upon Arthur. In the next years, he bought the property of Pogrzebień (in 1882), Zbrosławice (in 1886 from Gustav von Stockmann) and Ptakowice (in 1897). Arthur’s only son Alexander received from him the Pogrzebień property for administration. However, he died before his father in 1887. Arthur died in the beginning of 1909. Arthur Baildon’s heir became Ervin von Bergwelt (d. 1941) – his eldest daughter’s son from the marriage with Captain syn Alfred Bergwelt. 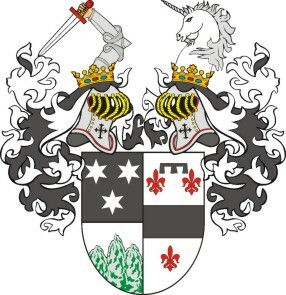 In 1910, the Prussian King and German Emperor William II Hohenzollern ennobled Ervin and consented to joining his parents’ surnames and coats of arms. 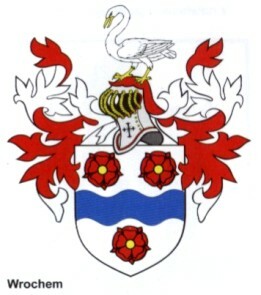 His descendants use the surname von Bergwelt-Baildon. The palace in Łubie was rebuilt in the years 1910/1911by in accordance with Ernest Haiger’s project. 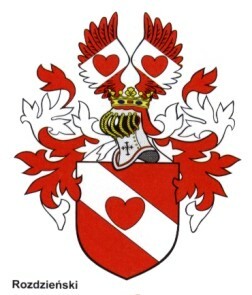 The last heir of the Baildons’ Silesian property after Erwin’s Heath was his eldest son Alexander (d. 1997). Eriwn’s descendands live, i.a., in Germany. 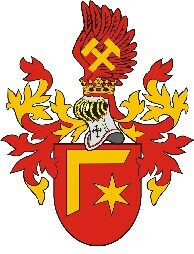 The first known representative of the knights who used the Blacha coat of arms was Nicolas (Mikołaj) Kopieński from Kopienice. He was mentioned in a document dating from 1460 as "Mikołaj Kopcensky, called Blacha". In 1477 he bought from Przemko (the Prince of Toszek) the lands of Łubie (today in the municipality of Zbrosławice). 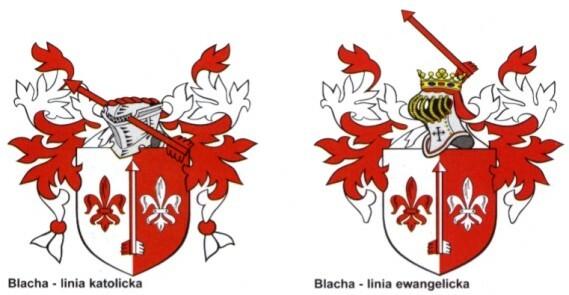 His descendants took "Blacha" as the name for their coat of arms. During the following centuries, the family divided into two lines: Evangelical and Catholic. Not only religion differentiated them, but also the appearance of their coat of arms. In the Evangelical version, the arrow is placed above the crowned helmet. In the beginning of 16th century the Blacha family owned the lands of Rybna, Sowice and Lasowice. The most significant fact in the history of this family, and very important for the city of Tarnowskie Góry, was John Blacha’s decision to sign a contract in 1537 with George von Ansbach. Thanks to that, the local mining industry could freely develop. In exchange, the family was supposed to receive, together with other owners of the fields, a part of the income from the Prince’s tenthfold collected on quarried yield. In 1603 they sold the lands of Lasowice and Sowice to John Frederick Dresler de Schaerfenstein. In the 18th century they also sold the remaining lands. In 1729 Boguslas Jacob sold the lands of Rybna to John Kotuliński. The lands of Łubie in 1735 became a propriety of The Ziemięcki family. After selling that property, the family chose the lands of Tuły (located near the road from Opole to Kluczbork) to be their place of residence. They built an impressive baroque palace there. It was their home until 1865, when the family von Fürstenberg became its owners. Some members of the Blacha family moved to the Great Poland, where in 1700 Nicolas Blacha held the office of cup-bearer in Wschowa. Others moved to Bohemia and Moravia, where Michael Wenceslas and Raphael became Bohemian noblemen. 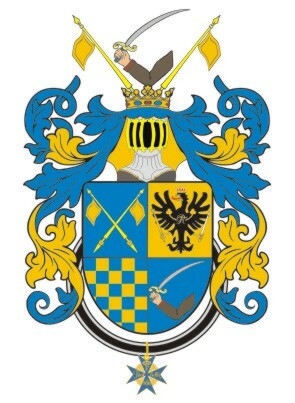 The Brusiek family owned, i.a., Bruśkowa Kuźnica and Truszczyca. In 1634, Adam Brusiek from Bruśkowa Kuźnica bought Żyglinek from Szymon Glocz for 5 thousand thalers. The founder of the family was Jacob Brusiek, who married a daughter of Sych from Roździeń. Their descendants used the Roździeński surname. One of Jacob’s sons was Valentine, who wrote the poem ‘Officina Feraria. Noble craft of ironwork.” It is one of the most interesting sources about the beginnings of modern industry in the Upper Silesia. The first known representative of the family was an innkeeper and distiller with Jewish roots named Simon, who lived in the city of Bytom in the beginning of the 19th century. He multiplied his earned capital by trade. He also invested in developing industry. In Bytom, he founded the Banking House, later inherited by his son Maurice. The latter one continued his father’s investment activity. In the New Jewish Cemetery in Bytom, Maurice together with his son Otto founded the cemetery square and Bethalle (the place where funeral rites were performed). Otto lived and worked in Bytom. Maurice’s other son, Emmanuel, moved to Gliwice. Both brothers together invested in developing industry: metal works, mines, etc. In 1880, after Emmanuel’s death, the whole fortune was inherited by Frederick (Fritz). In 1905, he founded the first community of interests – he signed the contract with coal producers, stating that he would be giving them the whole income for the coal he sells, keeping for himself only the interest. This idea proved to be successful. Frederick moved to Berlin. He also invested in coking plants near the city of Zabrze. Frederick converted to Christianity. On 27 February 1906 he was ennobled. 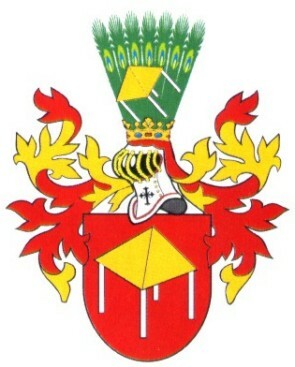 He received a coat of arms and a new surname: Friedlaender-Fuld. "Fuld" was the family name of his wife Milly (Emily Antoinette). Frederick bought, i.a., the lands of Gorzyce, Jedłownik and Wodzisław – the area of about 1,5 thousand hectares. He died on 16 July 1917. The whole fortune was inherited by his only daughter Mary Ann, the future Baroness von Goldschmit-Rothschild. 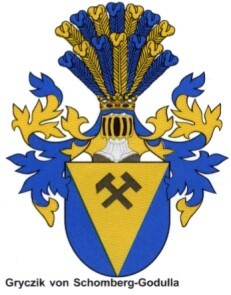 The family originated from the Duchy of Anhalt. The first mention about the representative of this family dates from before 1762, when Grolingk, a cavalryman in Prussian regiment of cuirassiers, married a burgher from the city of Helberstadt (presently Saxony-Anhalt). His son John Benedict was the founder of the noble line of the family. Like his father, he also joined the army. He started his career as a cornet in 1760, during the seven-years’ war (1756-1763, called also the third Silesian war). Eight years later he was already a major, and in 1768 the Prussian king Frederick II the Great ennobled him. John Benedict remained in the army and was later the leader of a hussars regiment. In 1786, he became a major-general. John Benedict von Groeling for a few years was the owner of Wielowieś and a half of Wojska. In 1771, he bought Rudziniec and Pniów. In the beginning of 1791, the general ultimately left the army and settled down in the Upper Silesia. Soon after that, he died in Pniów. He was buried in the grave-chapel built in the nearby cemetery. The general’s descendants divided into two main lines, stemming from John Benedict’s sons: the older line from Charles, the younger one from Leopold. The older line inherited the property in Rudziniec and Kurzyna. The younger one received the lands of Pniów. In 1833, Charles sold Rudziniec and Kurzyna to his wife’s brother-in-law. Charles’s sons continued their careers in the army, gaining officer ranks. Frederick, the younger son, settled down in Lindenberg near Berlin. Albrecht, major Robert’s son and Charles’s grandson, emigrated to the United States, where he became a planter. Leopold also took care about expanding the family’s property. After 1800, he bought Zacharzowice, situated north from Pniów. At the same time, he obtained Ligota, located near Gliwice. Apparently, not all of Leopold’s activities were successful as in the forthcoming years he started to sell some of his properties, i.a., the patrimony in Pniów (in 1819) and Zacharzowice. Ligota was named after the family Ellguth von Groeling and remained their property until 1890 (presently Ligota Kradziejowska). Leopold’s sons married young aristocrats from the Upper Silesia. In the years 1836-1838, Antonia von Groeling bought Szałsza and Żerniki. Her family – Barons von Welczek - owned neighbouring Łabędy. Antonia’s husband Albert von Groeling was the prefect of the Gliwice and Toszek district, and the publisher of a local magazine. While he held the office, drying of the swamps around Szałsza started. The owners of Szałsza were the pioneers in using artificial fertilizers and steam machines for field works. In 1877, the palace in Szałsza was thoroughly rebuilt in the Late Gothic style (the so-called Tudors’ style). The building was given a cuboid shape and a second floor. It is non-plastered and has the red hue characteristic for kilned bricks. Albert’s three grandsons: John Benedict, Albert and Victor were Hospitaller Knights of St. John. The palace endured the Silesian Insurrections, but it experienced certain damage. In 30s of 20th century, the Nazi changed the name of Szałsza to Kressengrund, and the name of Żernik to Groeling. After 1945, the Groeling family was deprived of their property. They moved mainly to Austria and Germany. 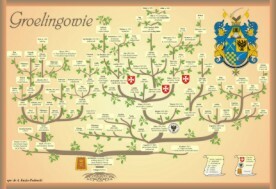 As some of the family branches extinguished, the female-line descendants succeeded to the surname (von Groeling-Müller and Schmidt von Groeling). In 1980, the family von Groeling entered into relationship with European ruling families (i.a., the Hohenzollerns and the Cobourgs) through the marriage of Hubert, the son of the last owner of Szałsza, with Karin von Zallinger-Stillendorf. Karin’s grandmother was the Princess Mary Antoinette von Hohenzollern (the King of Romania, Ferdinand’s I niece), and her great-grandmother was the Belgian Princess Josephine (the King of Belgium, Albert’s I sister). - see on the page Gallery photos of the Groelings’ palace and graves. Joanna Gryzik was born in Spring 1842. Her father John and mother Antonia were a common Silesian family. The mother worked as a servant in Charles Godula’s house. The fortune gathered by him was one of the largest in Silesia. Unfortunately, he had no offspring, and he didn’t really like children. Reportedly, Joanna once came up to him without showing any fear towards the gloomy and proud master. Charles was so surprised and endeared by her behaviour that he decided to take care of her. Charles Godula paid for Joanna’s upbringing and education. She was only six years old when he died. He made her his only heiress. His relatives received money legacies. Joanna inherited 4 calamine mines and a half of shares in another one, 6 coal mine and 4 estates (Szombierki-Orzegów, Bobrek, Bujaków and Chudów-Paniówki) in total almost 70 thousand morgens of fields and almost 3,5 thousand morgens of forests. On 6 October 1858, the Prussian King Frederick William IV Hohenzollern ennobled her, changed her surname from Gryzik to Schomberg-Godula and gave a coat of arms. It contains blue and gold (the colours of the Upper Silesia) as well as traditional mining tools, so that Joanna’s descendants remember where her fortune came from. On 15 November 1858, Joanna became the wife of the Count Hans Ulrich Schaffgotsch. They were different in everything. He was not very wealthy (the family’s fortune was inherited by his uncle), had great surname and was in affinity with European dynasties. She was incredibly rich, but had no connections. Her nobility had been freshly bestowed upon her - and she was a servant’s daughter. Although the marriage was planned, it reportedly proved to be very happy. The couple lived in bliss and mutual love for a few dozen years. Maybe it was so because Joanna’s heritage remained her property until her death. They live in the marvellous palace in Kopice (near Grodkowo). In 1906, Joanna divided her property into five parts – one for each of her children and grandchildren. She died on 21 June 1910 in her beloved residence in Kopice. They are considered to be an old knightly family with Polish roots. They obtained a Bohemian noble title in 1593, but the first information about them is dated one hundred years back. That was when they became the owners of properties in the Principality of Racibórz. In the forthcoming years, they also owned lands in the Principality of Opole. In 1486, John Holly was the Marshall of John, the Prince of Opawa and Racibórz. In 1746, Franz Adam Holly bought Repty from Ferdinand de Mleczko. Only four years later, he sold it to August the Count Pückler. The family has Polish origins. One of the first heard-of representatives, Matthew, was in 1530 the deputy prefect of Warsaw. Twenty years later there was a mention in documents about Bartholomew, Michael’s son, the master of Pogroszyn. In 17th century, the family moved to the Upper Silesia, where they became owners of many estates. In the end of 18th century, some representatives of the family returned to Poland. A canon from Gniezno, Paul, and a captain of the Crown army, Matthew from Zakrzew, (the sons of Charles Ferdinand and Constance Kozłowska) were given Polish nobility (pol. indygenat) on 13 February 1776. It meant that they were considered to be of noble birth and that they could hold offices in Poland. Their descendants remained in Poland. Matthew’s son, Theodore, was a counselor in the department of Radom. Matthew’s grandson Julian was the president of the Tribunal in Kielce, and later a senator. Another grandson, Ignatius Theodor, inherited the village of Radowąż in the district of Sandomierz in 1839. In the Upper Silesia in 1780, Christopher Frederick von Koschützki bought the city of Stare Tarnowice from the Baron Gustav Welczek. Four years later, he sold it to Charles Erdmann von Larisch, and he moved to Roszkowice (near Kluczbork). In the 19th century, Christopher’s son, Charles, became well-known. He was the owner of Wilkowice and Kępczowice in the district of Bytom. In 1811, on the basis of a privilege, he was allowed to join his surname with his uncle’s (Gustav Wenceslas von Larisch), of whom he was the heir. Since then, he was using the surname Koschützki-Larisch. He considered himself to be a German, but he defended the Upper Silesians who spoke Polish. In the years 1851-1853 he published ‘A Guidebook for the People of the Upper Silesia.” He was an active member of The Society of People Working for Education of Upper Silesians, which popularized Polish language, culture and literature. He also founded the Evangelical library in Tarnowskie Góry, where Polish and German books were kept. Moreover, He worked in the local Evangelical school, and in 1859, he gave 1000 thalers for employing the fourth teacher. However, he imposed one condition: the Polish language had to be taught four hours per week. After his death, Kępczowice was inherited by Adalbert, and Wilkowice by Alfred. The latter one bought in 1856 the property in Rybna from Victor Chrząszczewski dobra w Rybnej. The palace there became his main residence. In 1871 he got rid of hereditary Wilkowice. After Alfred, Rybna was inherited ten years later by his nephew Richard, and in 1920 by Richard’s son Egon. During the plebiscite, Egon voted for Poland. However, when his palace was within Polish borders, in 1922 he sold it together with the nearby lands and moved to Wronin (then the district of Racibórz) in Germany. An old Silesian family. 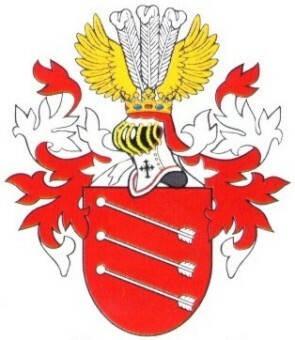 To their surname „Ohm” they added „Januszewski”, stemming from the village of Januszów in the Principality of Oleśnica. In the half of the 14th century, they owned lands in the Principality of Wrocław. 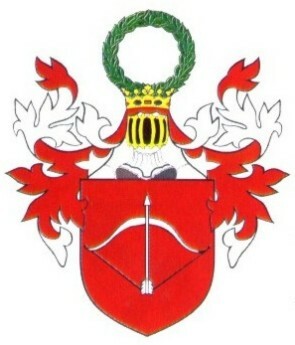 In 1505, John Ohm bought the estate of Januszów in the Principality of Oleśnica, from which he and his sons took the nickname. From 1680, they also owned lands in the Principality of Pszczyna, and from 1720, in the Principality of Cieszyn. In the beginning of the 17th century, Balthazar Ohm-Januszewski bought Stare Tarnowice from the Wrochem family. He also owned Opatowice and Pniowiec. In 1650, Vaclav Ohn-Januszewski and Anna Felicjana Ohm-Januszewska inherited the fortune. Anna Felicjana as the wife of Hunter, the owner of Repty, sold the lands of Stare Tarnowice and Opatowice in 1721 to Eve Elisabeth Skrońska, Leopold Skroński’s wife. A knightly Silesian family. It divided into two lines. The older one took the surname "Długosz" and the younger one – "Raczek". Mentions about the Długosz family have been appearing from the 14th century in documents coming from the areas of Koźle, Racibórz and Gliwice. Jacob Długosz in 1474 was the prefect of Koźle. In 1585, John and Simon were mentioned as the owners of Wojska and Jasiona. In 1602, the owner of Jasiona was John Długosz. Members of the Raczek family were also present in Poland. Paul Raczek participated in John Zamoyski’s wedding in 1583. Adam Raczek in 1634 was a judge in Mielnik. Francis and Louis Raczek were mentioned in Lithuanian documents in the end of the 18th century. In the beginning of the 17th century, the Długosz family were mentioned as the owners of Kopienica, using the nickname "Raczek". In 1629, George Długosz took the surname "Raczek". On 19 October 1635, he received a confirmation of nobility from the Emperor and the King of Bohemia Ferdinand II Habsburg, together with dignifying of the coat of arms. 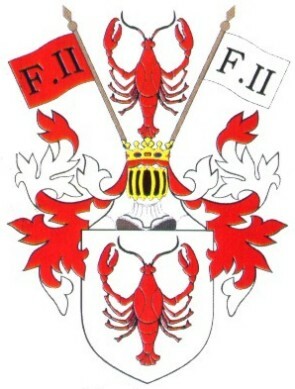 Two banners with the monograme "F II" were added to the crest in the family’s Warnia coast of arms. In the end of the 17th century, John William Raczek was mentioned as the owner of Jasiona and Kopienica. In 1766, the Raczek family bought the Czekanów estate. They lived in the local manor-house, which still stands there, but has been thoroughly rebuilt and lost its residential character. Joseph de Raczek was the owner of Repty in the years 1792-1806. He bought this land from Edmund Pückler, and sold it after 14 years to Leopold von Larisch. In the spring 1836, the lieutenant Joseph von Raczek, after his mother’s death (de domo Galli) inherited the estate of Przyszowice (northeast from Gliwice). In the beginning of 1871, Guido Raczek turned this estate into a fidei comissum. The local palace was built only in the years 1890-1895. In the spring 1853, Charles von Raczek bought nearby Gierałtowice from a metalworks craftsman Joseph Madejski. In the Gotha Calendars, the Raczek family were mentioned until the outbreak of the World War II. Modern genealogical publications don’t name them anymore. Francis Winckler was born on 4 August 1803 in w Tarnów near Ząbkowice Śląskie. He studied in the junior high school in Kłodzko, and next in the Jesuit seminar in Nysa. In 1819, he started work in the mining industry. He worked as a miner in the mine of silver and lead ores ‘Fryderyk’ in Bobrowniki near Tarnowskie Góry. In 1826, he was employed by Francis Aresin. First he worked as a foreman, and then as the administrator in the mine "Maria". On 9 May 1826, he married Alvina Kalide, the sister of the famous painter Theodore Kalide. Three years later, on 26 August 1829, their only daughter, Valeska, was born. Exactly three months and one day later, Alvina Winckler died. On 11 May 1831, Francis Aresin died as well. The widow, Mary Domes, made Francis Winckler the administrator of the whole property. One year later, on 12 June 1832, they married, and he actually became the co-owner of the Fortune owned by his wife (fourteen years his senior). He significantly contributed to the growth of this wealth. The beginnings of the history of Katowice as a city are connected with the Winckler family. These lands were a part of the estate of Mysłowice, which since the 17th century belonged to the Mieroszewski family (the estate itself was created in 1678 - (see about Family Mieroszewski)). In the 19th century, the estate-owner Alexander Mieroszewski lived in the luxury that suited such a great aristocrat. However, his income was not enough to cover his expenses. His financial situation gradually worsened. It was then when Mary Winckler came up with a proposal. She promised to pay all the debts in exchange for the estate of Myslowice. Moreover, she added a few dozen of thalers. However, it turned out that the estate was by law inalienable. In 1839, a compromise was reached. The property together with the mines and metalworks were changed into a "money estate", the sum of which was 109 768 thalers. The estate-owner was supposed to receive a percentage from this sum (about 6 thousand thalers annually). The Wincklers became the owners of the knightly estate of Katowice on 11 February 1839. The King of Prussia Frederick Willhelm IV on 15 October 1840, upon the occasion of his ascending to the throne, issued in Berlin the act, in which he pronounced Francis Winckler to be of noble birth. Since then, he was allowed to use the predicate "von" before his surname. It was not the only thing that honoured him. Six years later, the Prince von Anhalt awarded him with the commander’s cross of the Order of Albrecht the Bear. In 1850, the King of Prussia awarded him with the Fourth-Class Order of the Red Eagle. He was also given economic privileges from the authorities. In 40s of the 19th century, he was given the exclusive right of coal extraction in the lands of Mysłowice and Katowice. Next, he obtained a mining prerogative. It meant that he was not obliged to ask the authorities for their consent to coal extraction in these lands and paying the Treasury for that. During the years, Francis and Mary gathered quite a fortune: the knightly lands of Miechowice and Katowice, the city of Mysłowcie together with the villages from the previous estate, a part of the lands of Palowice, Woszczyce and Orzesze, 13 coal mines, shares in 49 other ones and 15 calamine mines, 7 ironworks, 6 zincworks and a lime kiln. Since 1839, the administration of this fortune was located in Katowice. It was run by Winckler’s friend, Frederick William Grundmann (1807-1887). Francis von Winckler died on 6 August 1851 in Lubljana (the capital of modern-day Slovenia). He was buried in the Church of the Holy Cross in Miechowice. His daughter Waleska married Hubert von Tiele nd became the founder of the family von Tiele-Winckler (see about Family von Tiele-Winckler). The family comes from the Principality of Bytom. It was first mentioned in documents from the turn of the 14th and 15th century. In 1379, there was a mention about the knight Wrocheno, a sire from Kozłowo. 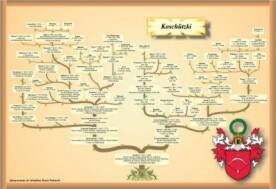 The documented genealogy starts with Kasper Wrochem (ca. 1488 - ca. 1538). The family divided into a few lines. The line from Repty was the most prominent one. Except it, there were also the line from Tarnowice (the Wrochems are named as the owners of Repty and Tarnowice in documents from the 15th and 16th century), Bytków, Kotulin, Kozłów and Racibórz. Their presence was also noted in Bohemia and Moravia. The first owner of Repty was listed in 1466. The first one known by name (if we treat "Wrochem" just as a surname) was Nicolas in 1507. A few dozen years later, the owner of nearby Tarnowice was Peter Wrochem. During his ownership, the renaissance castle was built, which still stands there. About 1529, the Prince John II the Good signed a contract with Peter. Wrochem renounced all the superior and judicial righs to the land where the city of Tarnowskie Góry was built. In exchange, he was promised to be given a permanent income (1/3 of the municipal tax). In 1537, the owners of Repty were John and Nicolas Wrochem. In the following years, Repty belonged to Wenceslaus, knowi also as Wańko. He owned Wielowieś as well. In the beginning of the 17th century, the owner of Repty was George Ibram, and Tarnowice were bought in 1603 by Balthazar Ohm-Januszewsk. In 1712, Charles Joachim von Wrochem inherited from his wife Joanna Ludmila von Holly the estate of Czerwięcice near Racibórz. This property remained in his family for the next 200 years. In the following centuries, the Wrochems owned, i.a., Sieroty, Zacharzowice (southwards from Wielowieś), Brzeźnica, Załęże i Radoszów. In the beginning of the 20th century, the family divided into the lines founded by four brothers: Gottlob (d. 1840) of Wołczyn, a legal advisor Charles (d. 1825), Louis (d. 1849) of Czerwięcie and Dolędzin, and Frederick (d. 1837) of Załęże. In that period, a few Wrochems made a career as Prussian offices and became prefects, e.g., John Henry (d. 1807 r.) and his son Gottlob (d. 1840) in Racibórz, Charles (d. 1872) in Oława and Paul (d. 1916) in Wołów. In 1844, the owner of Kopienice, Emil von Wrochem (d. 1889 r.), built a palace in the Classical style. 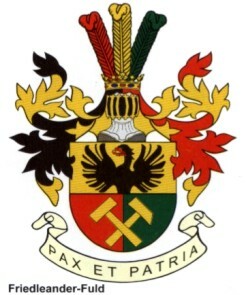 The Wrochems served in the Prussian army, participating in all the wars of the 19th century Germany. Some of them reached the general’s degree: Hans (d. 1914 r.), Alfred (d. 1915 r.) and Maximillian (d. 1934 r.), and Walter (d. 1907 r.). Arthur (d. 1921 r.) and their cousin Charles Louis von Wrochem-Gelhorn (d. 1945 r.) gained the major general’s degree. Major Louis von Wrochem (d. 31 January 1870) in his last will gave his estate of Dolędzin to his nephew Charles Louis von Gelhorn z Legnicy (d. 1945). He was the son of Mary von Wrochem and major Paul von Gelhorn. 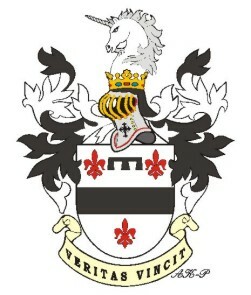 Together with the estate, Charles Louis received a new surname: Wrochem-Gelhorn. However, he left no children. Victor von Wrochem, the owner of Czerwięcice who lived in the beginning of the 20th century, was the first one to describe the history of his family, and published it in the book "Familiengeschichte des Geschlechts von Wrochem"" in 1908 in the city of Racibórz. As the only representative of the family, he was a life-long member of the upper chamber in the Prussian Parliament. The second and third volumes of the oeuvre were written by his relatives yet before World War I. 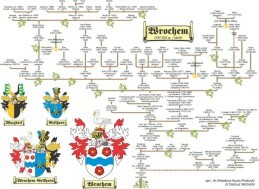 The present-day representatives of the Wrochem family are descendants of the oldest line, stemming from Gottlob (d. 1840). All other lines extinguished. The contemporary Wrochems live in Germany and are a famous family of musicians: Johann Gottlob (composer, pianist), Claudius (cellist), Johannes (guitarist), Klaus (violinist).